The rich, versatile art of oil painting has captivated artists for centuries and continues to be one of the most popular painting mediums. And in this book, you'll discover timeless tips and techniques for creating your own masterpieces in oil! Follow along with professional artists as they teach you—step by step—how to paint various textures and subjects, as well as the fundamentals of painting in oil. 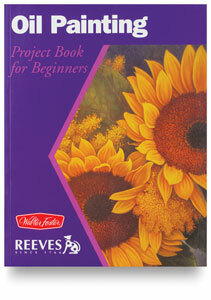 Getting Started Series specifications: Paperback, 32 pages, 8-1/2" x 11"